Jean Grant at St. Ann's Warehouse's Labapalozza! Photo by Richard Termine. Two city dwellers, Sabrina and Matteo, seek escape from the drudgery of urban life. They leave for the countryside in search of a robin's nest from Sabrina's past. There, they find an unlikely dirigible helmed by a people on the verge of extinction — The Kioskers. 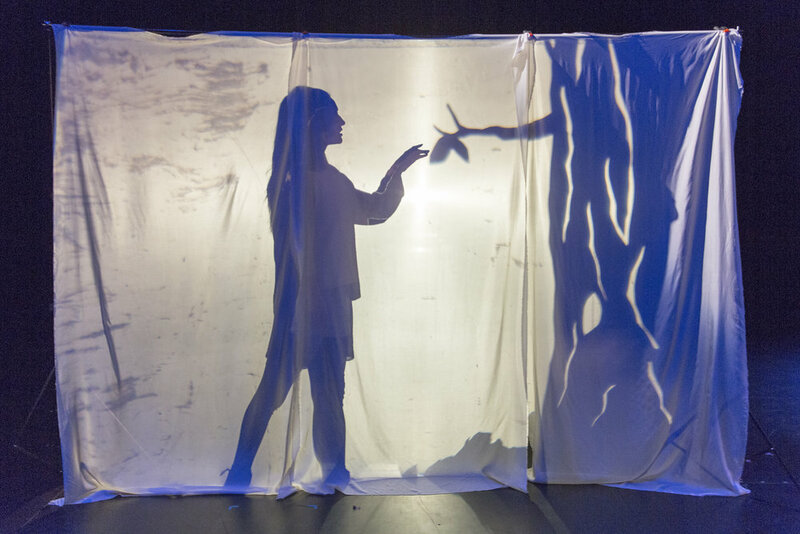 Performed by a troupe of strange players, The Kioskers mixes toy theater, shadow puppetry, projected stop animation, live music and performance to tell a gossamer tale of love, friendship, and loss. 2011 Cho-Chiqq BackyardBBQ Theatre event. 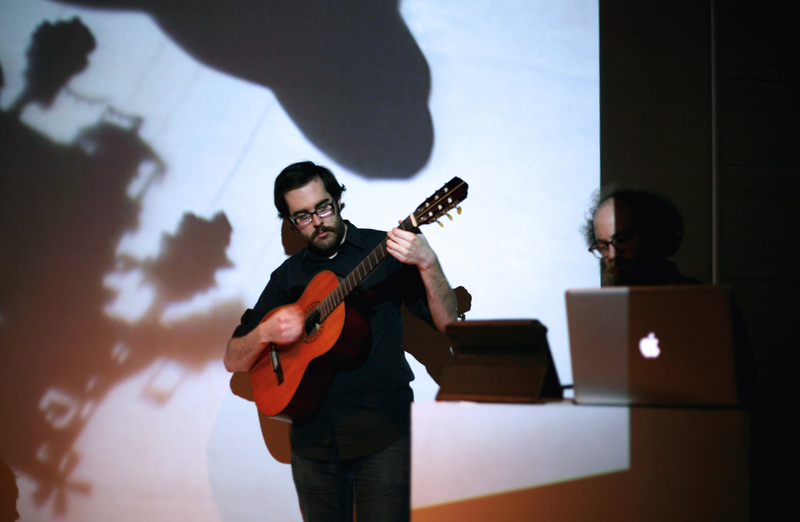 2012 Presentation at Uncanny Valley with Sammy Tunis and Lucy Kaminsky. 2012 Prelude festival Closing Party with Lucy Kaminsky, Sammy Tunis, Sara C. Walsh. 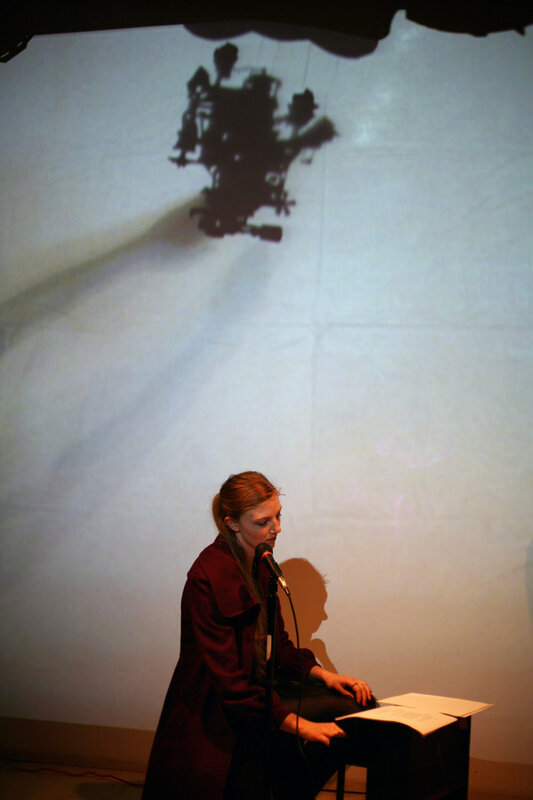 2015 Joins ST. ANN’S WAREHOUSE PUPPET LAB 2015-2016. 2015 Mia Rovegno joins as Director.